Luděk Pachman (German: Ludek Pachmann, May 11, 1924 in Bělá pod Bezdězem, today Czech Republic - March 6, 2003 in Passau, Germany) was a Czechoslovak-German chess grandmaster, chess writer, and political activist. In 1972, after being imprisoned and tortured almost to death by the Communist regime in Czechoslovakia, he was allowed to emigrate to West Germany. He lived the remainder of his life there, and resumed his chess career with considerable success, including playing in the Interzonal in 1976 and winning the West German Championship in 1978. Pachman's first chess championship came in 1940, when he became champion of the nearby village of Cista (population 900). The first break in his chess career came in 1943, when he was invited to an international tournament in Prague. World Champion Alekhine dominated the event, with Keres taking second place. Pachman finished ninth in the nineteen-player tournament. 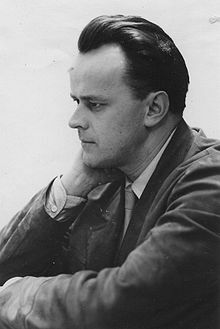 Alekhine paid him a compliment in an article in the "Frankfurter Zeitung" and from the fifth round on, invited him every evening to analyze games and opening variations. "I don't have to tell you how a beginner from a village chess club felt at that time", Pachman wrote. Pachman went on to become one of the world's leading players. He won fifteen international tournaments, but considered sharing second place in Havana 1963, with Mikhail Tal and Efim Geller, behind Viktor Korchnoi, his best tournament result. Pachman won the Czechoslovak championship seven times between 1946 and 1966. He became the champion of West Germany in 1978. He played in six Interzonal tournaments between Saltsjöbaden 1948 and Manila 1976. 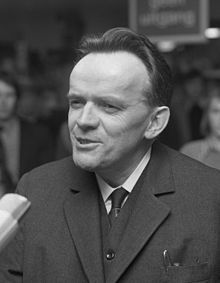 He represented Czechoslovakia in eight consecutive Chess Olympiads from 1952 through 1966, usually playing first board. The most successful year of his career was 1959. After winning the Czechoslovakian championship he went on a South American tour, winning tournaments in Mar del Plata (tied with Miguel Najdorf), Santiago, Chile (tied with Borislav Ivkov) and Lima, Peru (again tied with Ivkov). On this tour he beat the 16-year-old Bobby Fischer twice. Pachman made an even lifetime score against Fischer, +2 −2 =4. Pachman was politically active throughout his life, first as a Communist and later as a staunch anti-Communist. In December 1968, he won a tournament in Athens. Upon his return to Prague, the authorities arrested, imprisoned, and tortured him for months. During this time he attempted suicide: On Christmas Eve 1969, doctors called his wife and told her that he probably would not survive the night. In 1972, Pachman was finally allowed to emigrate to West Germany. He soon became known as a strongly anti-Communist political activist, and his eloquence made him a regular guest on political talk shows. Pachman was also a prolific author, publishing eighty books in five languages. In the 1950s, he became the world's leading opening expert with the publication of his four-volume opus, Theory of Modern Chess. Pachman considered Modern Chess Strategy, published in 1959, to be his best book. His book Checkmate in Prague recounts his treatment at the hands of the Communist authorities. Ludek Pachman vs Oleg Neikirch, Portoroz 1958, Queen's Gambit Declined, Semi-Tarrasch (D41), 1-0 Pachman attacks his opponent's castled king, offering the sacrifice of both bishops. His opponent declines the second bishop, and could have continued the game with 25...Qh7!, but it is not easy to find such moves over the board in the limited time. Pachman was a good practical player and knew well where it pays to take a risk in the game. See also this account of a swindle by Pachman, who deliberately wasted almost an hour on his clock in order to get into time trouble and thereby lull his opponent into being swindled.